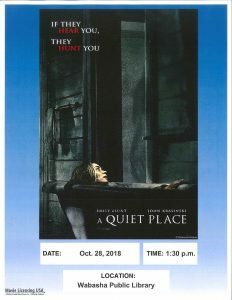 A Quiet Place is a modern horror thriller. A family of four must navigate their lives in silence after mysterious creatures that hunt by sound threaten their survival. If they hear you, they hunt you. This movie is rated PG13. This event is free. 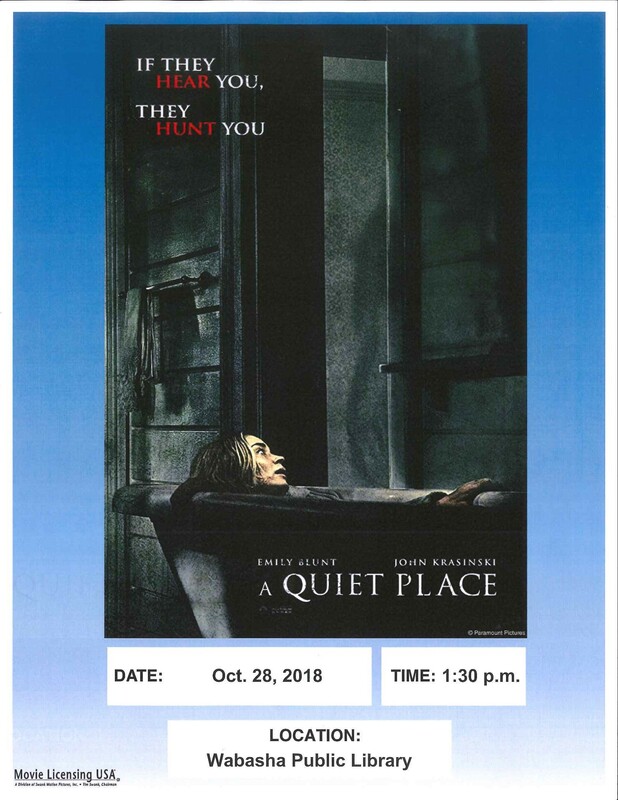 Thank you to RJAC and Wabasha Area Chamber of Commerce for funding this event.